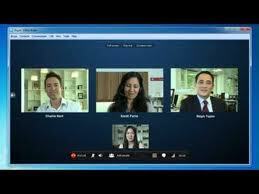 Skype , one of the Web's most popular video chat clients which provide the advantage of on-line video chatting. But now more recently, it is updated with a newest version which will include a new group chat feature that will allow up to five people to video chat with each other at once. STEP 1 Firstly view your groups, located at your "contacts" tab at the middle of the skype application. STEP 4 Then choose " Start Group Chat." STEP 5 Then you chat will start with your friends in that group. right corner of the chat window. STEP 7 Click the " Add More " button . STEP 8 Click the "Add" button .